In most cases the Estate Administration process goes smoothly. The Probate Court will identify the assets of the deceased, decide on the payment of taxes and other expenses, and distribute the property among the stated beneficiaries according to the existing will. Probates are under the jurisdiction of the Superior Court of California. A probate is usually established in the County of the decedent’s last residence, or in the County where the decedent owned property (or other assets). Probate litigation is often necessary to protect the rights of certain beneficiaries either because of poor drafting of the will or as a result of disputes among the executor and beneficiaries. In the probate process there is usually an executor (if there is a will) or an administrator (if there is no will). Executors and administrators are appointed to uphold the wishes and assets of the decedent. If a beneficiary feels the executor or administrator is improperly distributing the estate, the executor can be sued. In probate litigation the executor can be personally liable for losses of the estate. In a Will Contest situation the executor of the probate can be sued by the beneficiaries of the estate if they feel the distribution was unjust or there was misconduct. Since the executor can be held personally liable, it is important to seek out legal assistance. There are situations where the executor or administrator is incompetent or corrupt. In situations where a beneficiary is being treated unjustly the beneficiary can dispute the inheritance. Beneficiaries are treated unfairly for a variety of reasons including; personal disputers, fraud, or incompetence. Probate litigation is a legal option for beneficiaries whom are the victims of executor abuse. Executors are often given unlimited access to and authority over the assets of the estate. If there is fraud, or the executor is grossly incompetent the funds can be very difficult to recover. An effective probate litigator can tie up the estate assets to ensure they are preserved for the beneficiary after the will dispute is concluded. In the case of a Will Dispute an experienced Probate Litigation Lawyer can defend the executor if a beneficiary is unjustly contesting the will. Since time is a critical variable for both parties using a Probate Litigation attorney is very important. To find an attorney experienced in Probate Litigation contact Attorney Search Network. 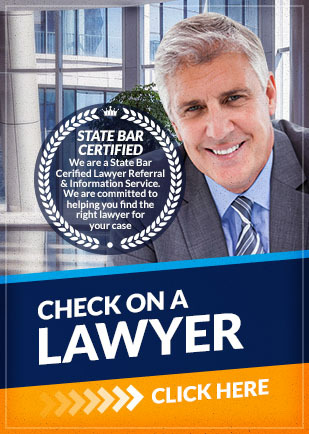 We can help you find a Probate Litigation lawyer who will help with your case.